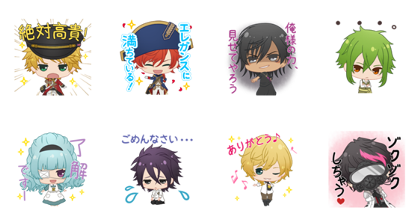 Stickers from smartphone game The Thousand Noble Musketeers are here! 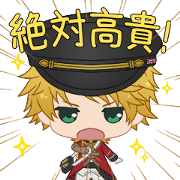 Fill your chats with cute mini versions of the game’s characters voiced by Taku Yashiro, Daisuke Namikawa, and other members of the cast. Clear special in-game conditions to get them. More details can be found in-game. Expiry Date : Available till May 9, 2018. Copyright : LINE Corporation / Marvelous Inc.